There is no question you have the best and we Thank God with our Personalized God Gave Me the Best Sweatshirt. Now Grandma, Mom and even Auntie can proudly show off the whole family with Grandma Gifts like this attractive Sweatshirt! Choose Children, Grandchildren or Nieces or Nephews. Whatever God gave you the best of. Your new personalized gift is available on our premium white cotton/poly blend sweatshirt, machine washable in adult sizes S-3XL. Includes FREE personalization. 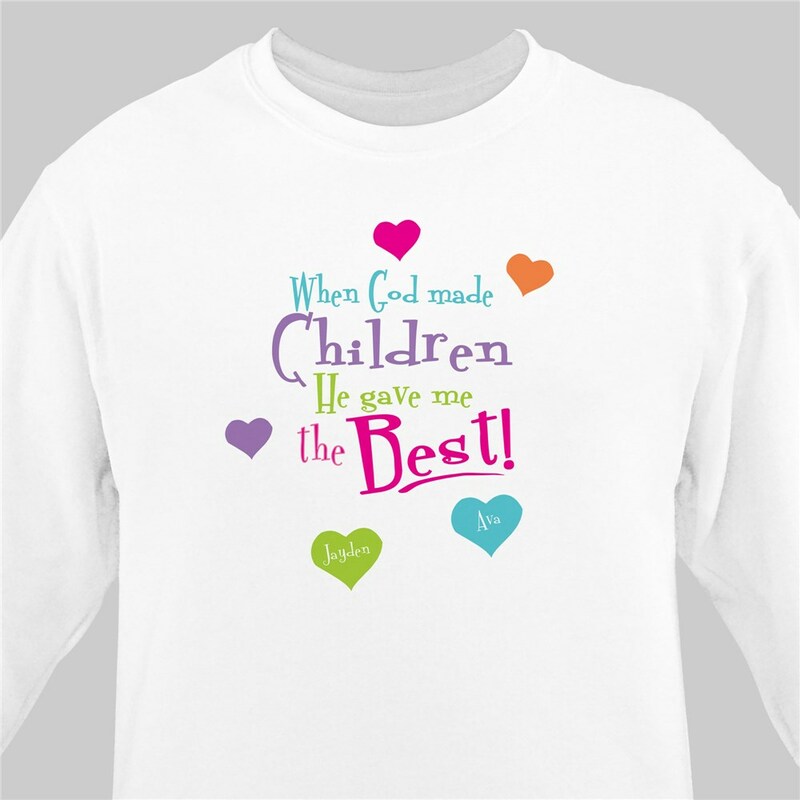 Personalize your God Gave Me the Best Sweatshirt with any title & up to 30 names. I just love this sweatshirt. I also order one in a t-shirt. My pink sweatshirt is fantastic. I am looking forward to seeing my Grandchildren's reaction!